Established to catalyze the vanguard of a global design revolution, the Challenge will award a single $100,000 prize annually to support the development and implementation of a solution with significant potential to solve the world's most pressing problems in the shortest possible time while enhancing the Earth's ecological integrity. Entries will be accepted beginning September 4th, 2007. The first prize will be conferred in June of 2008, timed to coincide with the opening of the first major retrospective exhibition of Buckminster Fuller's work in the US at the Whitney Museum of American Art in New York City. "I know my father would be deeply excited about the important opportunity this 'challenge' offers" said Fuller's daughter, Allegra Fuller Snyder from the family's retreat on Bear Island, Maine, today. "It is an opportunity to initiate critical action on behalf of all humanity." Fuller imposed his own self-discipline and novel way of thinking in a deliberate attempt — as poets and artists do — to change our perception of the world. Fuller insisted throughout his life that humans have a destiny to serve as "local problem solvers" converting their experience to the highest advantage of others. After decades of tracking world resources, innovations in science and technology, and human needs, Fuller asserted that options exist to successfully surmount the crises of unprecedented scope and complexity facing humanity. 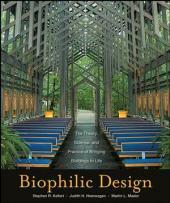 He issued an urgent call for what he termed a design science revolution to make the world work for all. "We expect the Buckminster Fuller Challenge to inspire international participation from individuals or teams who take a 'big picture' approach to design", added Elizabeth Thompson, Challenge co-founder and BFI's Executive Director. "I think more and more people are beginning to hear the 'call' Fuller exemplified in his lifetime – that the world's problems can and indeed must be solved through inspired, individual initiative. The recent exhibition at the Cooper Hewitt in NYC, Design for the other 90%, is a great example. I am excited to see what this Challenge will call forth." "We're looking for breakthrough solutions within a broad range of human endeavor that exemplify what Fuller called the trimtab principle", explains Challenge co-director and BFI's Director of Development, Angela Molenaar. "The function of a trimtab in nautical and aeronautical design is to demonstrate how small amounts of energy and resources precisely applied at the right time and place can produce a big change. Fuller often referred to this as doing more with less." 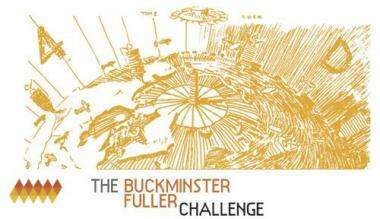 The Buckminster Fuller Challenge is a program of the Buckminster Fuller Institute. 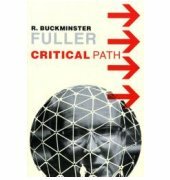 The Buckminster Fuller Institute serves as a catalyst for the design and implementation of strategies for achieving a sustainable future.